SuiteCommerce is a unified e-commerce solution system created by NetSuite that provides professional services backed up by an ecosystem of partners and support that cooperatively helps in the growth and development of thousands of businesses, basically online businesses. It powers such businesses to expand to a whole new level. SuiteCommerce makes available to your business venture all it needs to progress and be successful. With SuiteCommerce, you can quickly create a unique, awesome and customized look and feel of your brand that can be mobile-centric, web-centric or in-store experience (such as Mystery Ranch and BigAgnes) which will make your product brand distinguishable and outstanding. E-commerce: SuiteCommerce supports both B2C and B2B eCommerce directly form a single platform which brings about flexibility in the system. Point of Sale: SuiteCommerce helps to unify online and physical experience by creating the point of sale service for consumers to be able to switch freely between online and physical shopping channels. 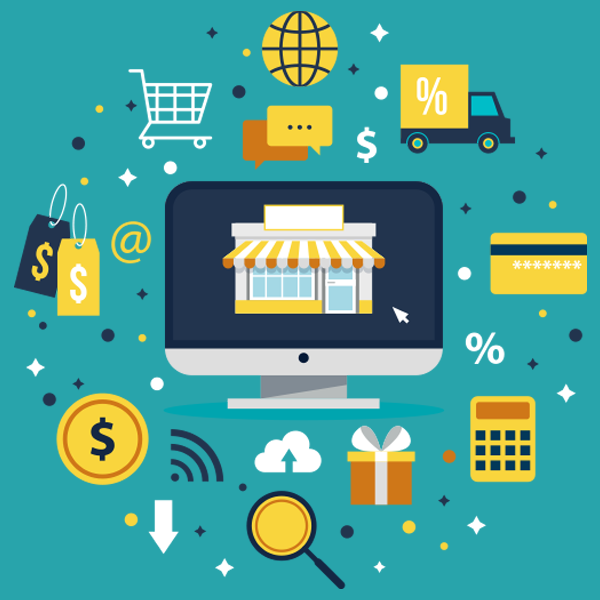 Commerce Marketing: SuiteCommerce offers commerce marketing so as to enable swift delivery of important data-driven digital marketing. Order Management: SuiteCommerce also offer order marketing so as to help businesses effectively manage various orders from multiple sources including the web, kiosk, etc. Product Content Management: Most product information is unstructured, so the product content management service helps to manage unstructured product information and then consolidate them with the structured one. This will, in turn, improve user experience and bring about a reduction in the cost of managing product content. Customer Relationship Management (CRM): The Customer Relationship management service helps to gather different individual sources of customer data into a single database or repository so that all the customers available for a product can be viewed and accessed completely from a single channel. The CRM will capture all customer preferences, customer interactions and the totality of transactions made so as to create a complete customer profile. This will bring about better customer service. NetSuite in conjunction with SuiteCommerce provides a team of dedicated, hardworking and result-oriented experts that aims at helping businesses create the perfect commerce solution for their endeavors. Services such as consulting, development, implementation, optimization and training programs that will help in maximizing the strength of SuiteCommerce and increase the productivity of the client enterprise. Consulting Service: SuiteCommerce also provide consulting service for advice dissemination to prospective businesses and enterprises on how to effectively manage resources and make better planning for better productivity. Development Service: SuiteCommerce also provide development services for businesses who wish to develop plans for effective resource management, customer relationship management, content management and others. Implementation Service: NetSuite and consequently, SuiteCommerce also provide implementation service to ensure that platforms are implemented so that distributors can have a high-quality avenue that accelerates time to value and satisfy the changing demands of consumers and the market. Training programs: They also provide a training program. This is organized by NetSuite (the founding company of SuiteCommerce) to enable organization and business partners of NetSuite to tap into the full potential of their employees and software available to them so as to get better and improved returns.